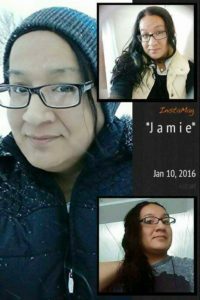 Update – January 9th, 2017 – A GoFund Me page has been set up by Sioux Falls #Two-Spirit and Allies to assist Ms. Wounded Arrow’s family with funeral and burial expenses. (Sioux Falls, SD) – The Two-Spirit community of Sioux Falls mourns the loss of Jamie Wounded Arrow, a 28 year old Lakota Two-Spirit transwoman from the Pine Ridge Indian Reservation. “Police were called to Ms. Wounded Arrow’s apartment near 8th Street and N Cleveland avenue in Sioux Falls, SD on Friday night after a neighbor reported a strong odor coming from the apartment. Sioux Falls police say evidence inside the apartment reveals Ms. Wounded Arrow’s death appears to be a homicide,” reported by KSFY. With this loss, Ms. 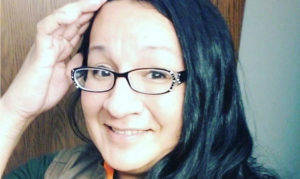 Wounded Arrow’s death is 2017’s first reported Two-Spirit homicide on Turtle Island. Police planned to release more information about Ms. Wounded Arrow’s death at 10:30 a.m. Monday at the department’s regular weekday media briefing as reported by South Dakota’s Argus Leader. As this story is still an active investigation, the TwoSpiritJournal will provide updates as more information is made available.